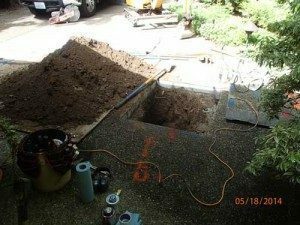 Correlation of Water Lines in Enumclaw – Why Choose Us? Since 2007, Clearwater Leak Detection has been the go-to expert for digital leak detection services that involve correlation of water lines. Residents of Enumclaw, WA know that they can count on us for prompt attention and seamless work. The innovative technology of water line correlation eliminates the guesswork out of finding the exact source of water leakages. We use a digital leak detection system for confirming leakage and locating the leak-point in all types of water lines, whether made of pre-stressed concrete, PVC, cast iron or steel. When is Water Line Correlation Used on Enumclaw Property? Undetected and therefore, unrepaired water leaks can be quite expensive. You are likely to lose a considerable amount of money due to increased monthly utility bills and also stand the risk of water damage to the property. 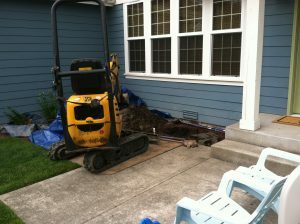 Lose no time calling us for correlation of water lines on your Enumclaw property after you observe symptoms of leakage. Leaking pipes are not a small nuisance, but a major plumbing problem that should be taken seriously. 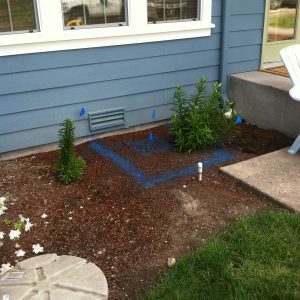 How Does a Digital Leak Detection System Work in Enumclaw? The digital water leak detection system works around two scientific truths – leaking water in a pressurized pipe makes a noise that travels throughout the pipe length; volume intensity of the noise is proportional to water pressure inside the pipe. Factoring in data like pipe dimensions, pipe material, ambient sounds, etc. We have invested in a state-of-the-art digital leak detection system. You can depend on our services for correlation of water lines to deliver totally correct results. Want error-free location of water leakage with the use of digital leak detection system on your Enumclaw property? Call Clearwater Leak Detection at (206) 686-9300.